Advances in LASIK vision correction techniques offer today’s patients ever-increasing options to improve their vision. 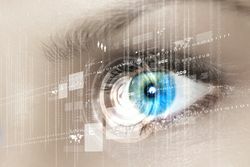 Newer techniques, such as custom LASIK, now correct a broader range of problems and treat a broader range of patients, including some who may have been excluded from LASIK surgery in the past. ​​​​​​​Board-certified ophthalmologist Sonny Goel, serving the Greater Baltimore area, is well-versed in both traditional and custom LASIK and is excited about the new options available for patients needing vision correction. With more options in his proverbial tool bag, Dr. Goel can more precisely fit treatment to his patients’ needs. He has been performing laser vision correction surgery since 1997 and has performed more than 70,000 LASIK procedures. The first option is LASIK eye surgery, which corrects refractive errors in the eye by reshaping the cornea. Using a laser, a flap is created in the top layer of the cornea, which is then reshaped to allow light to focus more precisely on the retina in the back of the eye. The flap is then set back in place and allowed to heal. Traditional LASIK effectively treats lower-order aberrations in the eyes: nearsightedness (myopia), farsightedness (hyperopia), and astigmatism. Custom LASIK, also called wavefront LASIK, is a groundbreaking procedure that not only treats the refractive errors corrected by traditional LASIK, but also other irregularities in the cornea that cause problems, such as night vision, halos, and glare. Custom LASIK allows surgeons to create a precise, three-dimensional map of the surface of your eye. This optical “fingerprint” pinpoints the minute imperfections, both higher-order and lower-order aberrations, in the surface of the cornea that hamper your vision. This data is fed into a computer and guides the LASIK laser that will correct these imperfections in the eye. Greater chance of achieving 20/20 vision without glasses. Greater chance of better than 20/20 vision. Reduced chance of losing contrast sensitivity. Reduced chance of night-vision problems. Reduced chance of losing best-spectacle corrected vision. If you have questions about which type of LASIK surgery would be best for you, a personal assessment can help pinpoint your needs and determine the appropriate technique that will help you overcome your vision problems. If you suffer from nearsightedness, farsightedness, or astigmatism, Dr. Goel offers blade-free LASIK, which can reduce or possibly eliminate the need for corrective eye wear. If you suffer with halos, glare, and other night vision issues in addition to farsightedness, nearsightedness, and astigmatism, you may be a good candidate for custom LASIK. Not everyone is a suitable candidate for these procedures, but an in-depth examination can determine whether LASIK or another laser vision correction procedure might improve your vision.